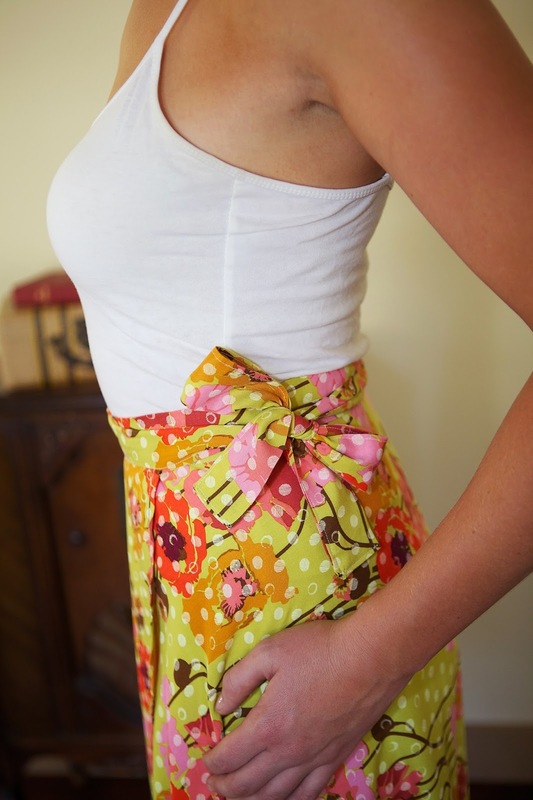 Ahhh, the wrap skirt. The easy to make, universally flattering, chameleon of a garment. Day to night? The wrap skirt's got you covered. Spring to fall? Consider it done. I have a very exciting package of wool and other fall apparel fabrics coming my way and one of the first things I'm going to make is a wrap skirt, you can see that here. For now, here are three different wrap skirts I've made using three different fabrics. This is Simplicity 7876 in a slightly shortened version out of a 100% cotton chambray. This is also Simplicity 7876 in a rayon challis by Anna Maria Horner. This challis is soft, drapes beautifully, and in a darker color would make a beautiful piece for evening wear. 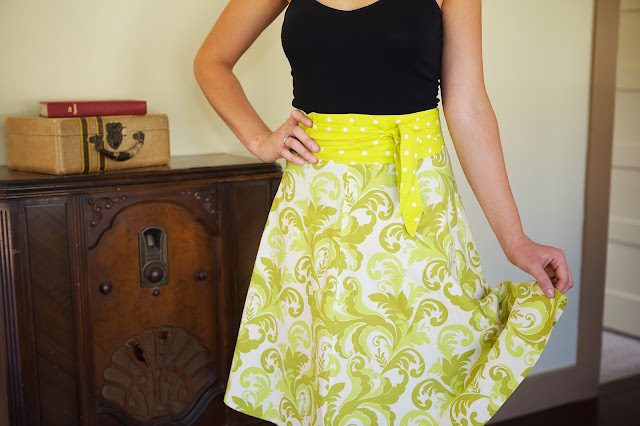 This is Heather Ross's Yard Sale Wrap Skirt, again in a shortened version. This is out of two quilting-weight cottons, which are definitely more casual than the rayon version, and worn less than the chambray version. The wrap skirt I plant to make for this fall will likely be in an above-the-knee length (because I love that look with tights and boots), but you could also make floor-length or tea-length versions. The possibilities are endless with wrap skirts, and I'd love to see what versions my readers have made. Share links to your blogs/photos/etc in the comments section below!